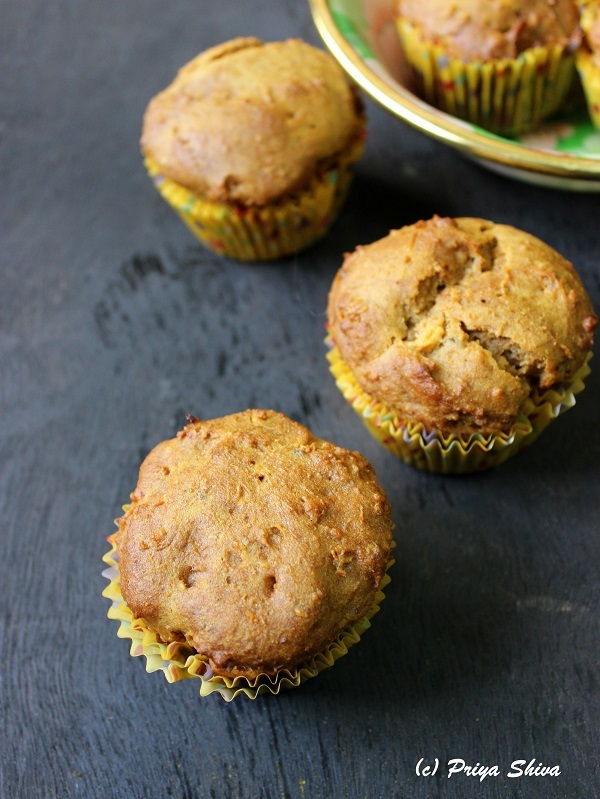 These healthy, Eggless Papaya Banana Honey Muffins made with whole wheat flour are prefect for breakfast to enjoy with your whole family. Breakfast is the most important meal of the day. So, I will be smart and eat breakfast! I have started writing for WorldofMoms – a community for moms from the house of FirstCry.com. So, this is my first article for them talking about importance of breakfast, sharing my experience and ending with a quick breakfast recipe. These Eggless Papaya Banana Honey Muffins can be made in no time and enjoyed with your whole family. So, stop by at the community of moms, check out my article and you can even find more fun stuff to read there. You can even make friends there and find like-minded people! Click here to read the complete article and recipe. 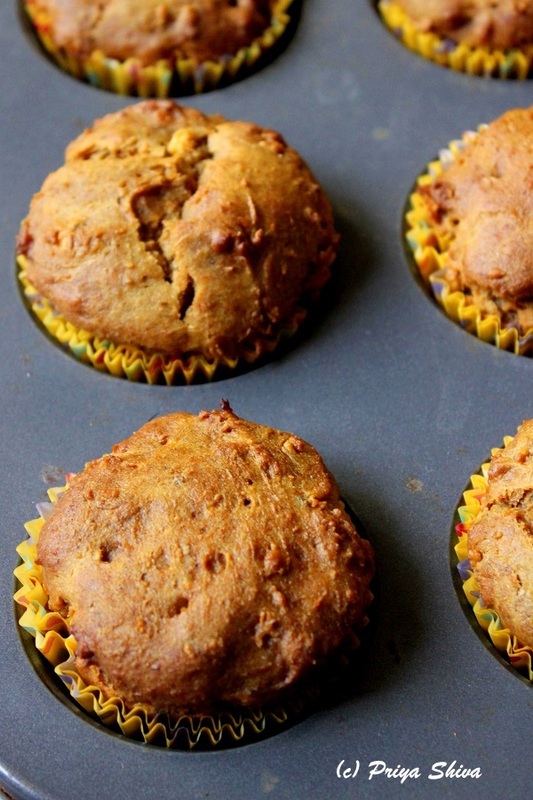 Your delicious eggless papaya banana honey muffins are the breakfast of champions. Congratulations on your new project, may it give you inner strength! Hugs to you! Nice recipe…One of my friends baked the Banana Muffin Cake for my daughter. Though she hardly eats anything :(, we were surprised when she was went for the cake. It was really delicious. Will surely give it a try. Thanks for sharing. Yes, you are right Priya breakfast is very important.Don’t skip it.By the way, muffins look delicious and its very healthy.Congrats for taking a whole new step in blogging.